Following the footprints of Facebook, Instagram has also given out “Data Download” tool. With this, you can download your information and move to another photo sharing app without any hassle. Recently, dramatic turn of events and implementation of European Union’s GDPR privacy law, lead to release of new tool for Instagram users as well. This amazing photo sharing app that would turn eight soon lacked provision of portability. This was making users stay at mercy of Instagram’s policies and put users’ data at risk. Those who wanted to have a backup of their account were forced to rely on third-party applications for the same. When this issue was put forward, a spokesperson from Instagram said that the users would soon able to port. Keeping its promise, Instagram has given out this feature that lets you export pictures, archived stories, videos, profile information, etc. With this, you can download all your data without relying on any third-party application. 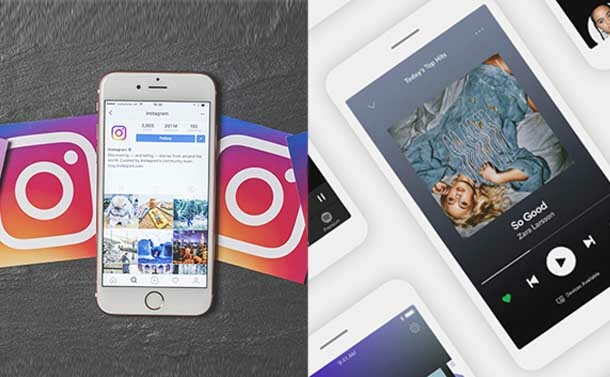 As confirmed by the Spokesperson of Instagram, this tool is accessible to all WEB users, however, they are still working to make this available for the iOS and Android users. Here they have ignored a crucial fact, that is, most of the users access their Instagram account via their phone not web. Therefore, this tool is crap until the Android and iOS versions aren’t out. Well, this is not the first time Instagram has done something which is unappreciable. It almost copied the Snapchat’s story that has over 300 million users on daily basis. So, if it is playing dirty enough to surpass its competitors, it should at least allow the users to choose if they wish to stay longer or not. For now, you can download your info via web using the URL given here. And you’ll get a download link within 48 hours via email. As Instagram’s parent company, Facebook already has this feature and it lead to major disputes recently, it’s expected that this tool will not leave users disappointed. A popular music streaming application has revealed a new design for its 90 million free users across the globe. This is the first major makeover since 2014 and the users will now have much more on hands; they’ll not just stuck shuffling their playlist! WHAT ALL HAS CHANGED IN SPOTIFY’S APP? Recently, Spotify launched its new designed app at an event in New York City. This app previously didn’t allow non-paying users to listen to desired tracks, only playlists could be played on shuffle mode. We cannot deny the fact that this was a pretty good way to push the users so that they pay for Spotify Premium, but still was useless. But now the free users can also listen to their favorite songs on their respective iOS and Android platform. Spotify’s chief R&D officer Gustav Söderström has conveyed that they are looking forward to keeping free users satisfied so that they don’t feel like second class listeners anyway. Well, it’s good to hear this, but is it true? Yes, the improvements are significant but they don’t cope with the expectations. No doubt, the free listeners, will be happy, but they will only have access to 15 “selected” playlists on-demand. One can play any song within these playlists and will no longer feel stuck. However, you still have to deal with shuffle beyond those 15 playlists. Moreover, these playlists aren’t the ones that you have created, they are generated by Spotify based on your listening trends and are updated frequently. Thus, total of 750 songs is way better than before, and the updated app will assist users by suggesting the songs that are similar to their interests. Also, the users will have provision of saving data which is quite helpful for people with limited data plan.